Mining and metals investors were offloading the sector's big names on Friday over fears of the impact of a trade war between the US and China, which is responsible for nearly half the world's industrial metal demand and two-thirds of the world's seaborne trade in steelmaking raw materials. Copper fell nearly 3% to $3.13 a pound or $6,900 a tonne, pushing the bellwether metal back into the red for the year. Last week copper touched the highest levels since January 2014. The S&P GCSI Industrial Metals index also moved back into negative territory for 2018, despite a year-to-date rally in nickel of nearly 20% and stronger aluminum prices. 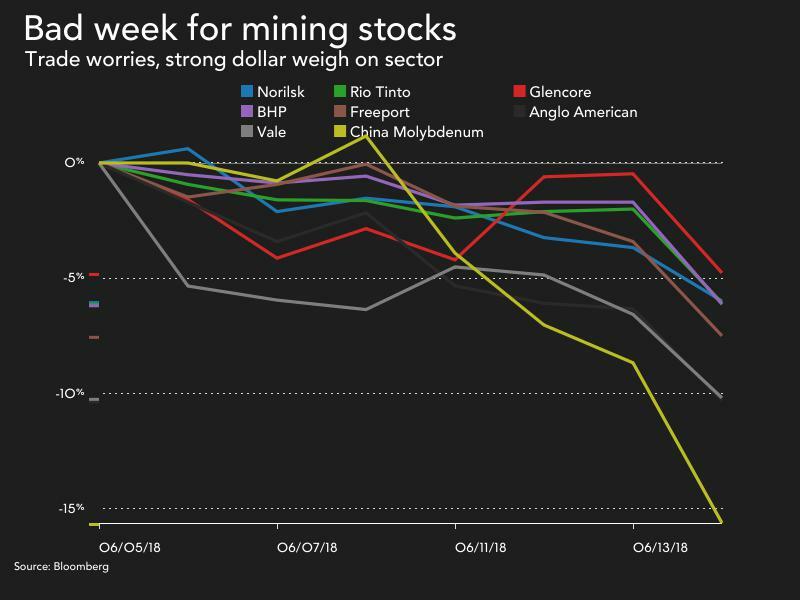 Friday's sell-off came after a busy week for mining's heavyweights with several big deals which appeared to signal that after years of belt-tightening, the majors are again looking for growth opportunities. Shares in world number one miner BHP Billiton (NYSE:BHP) lost 4.5% in New York dropping the market valuation of the Melbourne-based company to $125 billion. Yesterday BHP approved construction of a $4.2 billion iron ore mine in Western Australia sparking talk of a new boom time in the Pilbara. Vale (NYSE:VALE.P), the world's top iron ore and nickel producer, fell 5.6%. Rio de Janeiro-based Vale has been making the most of the rally in battery raw materials with the signing of a $700m cobalt streaming deal on its Canadian nickel mine earlier this week. Vale will use the money to fund a $1.7 billion underground expansion at Voisey's Bay, Labrador. Anglo American (LON:AAL), the globe's' number four diversified miner, gave up 4.3% in New York. Also this week, the London-HQ company with South African roots, announced a deal with Japan's Mitsubishi that paves the way for the construction of its $6 billion Quellaveco copper mine in Peru. World number five copper producer Southern Copper (NYSE:SCCO) took a 3.2% hit pushing the $38 billion unit of Grupo Mexico into the red for the year. On Wednesday, Southern Copper said it would be starting production at its $2.5 billion Michiquillay project in Peru earlier than expected. Michiquillay and Quellaveco are the only 200,000 tonne-plus copper mines likely to commence production within the next five years as the market for the red metal moves into deeper deficits. Top listed copper producer Freeport-McMoRan (NYSE:FCX) plunged 3.6% on Friday for a market cap just shy of $25 billion. 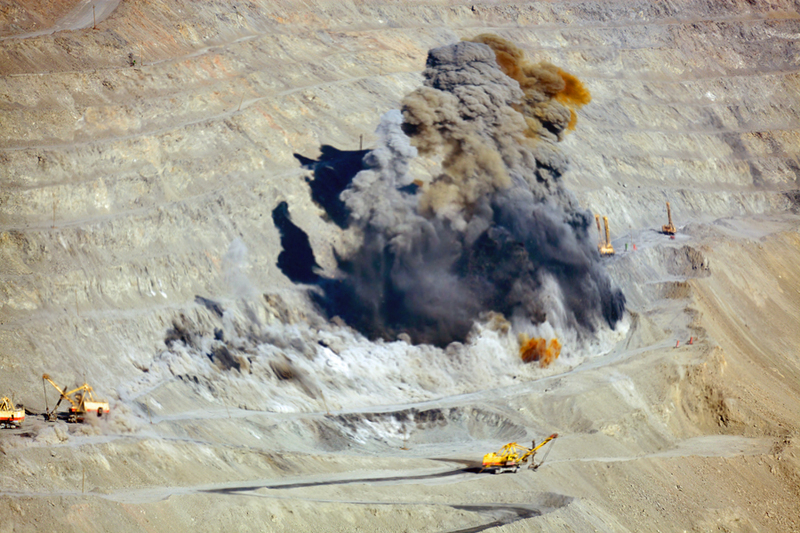 The Phoenix-based company is nearing a deal – decades in the making – with the Indonesian government to give up a majority stake in its Grasberg mine in Papua after Rio Tinto agreed to sell its 40% interest in the iconic mine to state-owned Inalum for $3.5 billion. The world's second largest miner based on revenue Rio Tinto (NYSE:RIO) declined 3.6% in New York, just holding onto a $100 billion market valuation. The Melbourne-HQed company is the world's number two iron ore producer and number eight copper producer. Glencore (LON:GLEN) was also marked down, with its over the counter units trading in the US losing 3.4% on Friday. Glencore is the world's third largest copper company in terms of output and dominates the trade in cobalt after restarting operations in the Democratic Republic of Congo. Glencore on Friday settled a potentially damaging legal row with former business partner in the central African country, Dan Gertler, by agreeing to pay royalties he is owed from copper and cobalt mines. Despite a recent pullback cobalt has nearly quadrupled in price since early 2016. The biggest loser this week was China Molybdenum, down nearly 15% over five trading days pushing its market value below $20 billion in Hong Kong. China Moly has been expanding aggressively outside its home country picking up niobium assets in Brazil from Anglo American and Freeport’s stake in the Tenke Fungurume mine in Congo's copper belt for $2.65 billion last year. Tenke has been in production since 2009 and output totalled 216,000 tonnes of copper last year, with 16,000 tonnes of cobalt as a by-product.